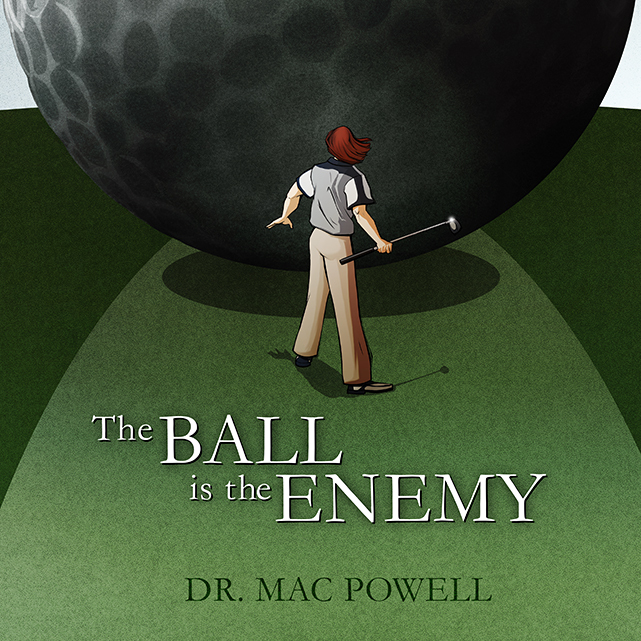 Dr. Mac Powell has written two books that creatively explain his individualized and personality-based approach to improving your golf game. Personality rules performance in all athletic mediums, yet the paramount importance of personality in golf remains largely unnoticed and unaddressed. Due to the individual “stand alone” nature of the game, the significance of understanding the role of personality in golf is essential. Time should be devoted to mastering the mental game, overcoming the limits of personality, and maximizing physical assets. To learn golf, you must begin with an empty mind free of preconception or expectation. What you know and have experienced merely get in the way of the unfiltered experience of the present. "The Ball is The Enemy", is one of the first erroneous assumptions you must unlearn to be a great player.